In a matter of months, your youngster will officially be a teenager! Enjoy this last vestige of childhood as you peruse our selection of really awesome gifts for 12 year olds. From creative crafts to thought-provoking books to excellent electronics, there’s a gift perfect for every kid that fits your budget and doesn’t involve piercing. Tween-agers are on the cusp of maturity as they leave childish things behind. It can be a confusing and emotional period. This beautifully crafted charm necklace gives your child encouragement and empowers them with a message to “Be you” and to “Reach for the Moon.” Stones with healing powers are carefully selected for each charm. Style trends today change faster than we can keep up with. One thing that’s stable is the concept of uniqueness. Individual choices are a lasting trend and the “Make Your Own Nail Polish” kit embraces it – everything your fashionista needs for customizing colors to match the latest fashion or create a party theme to share. When choosing gifts for 12 year olds, consider this inspiring pendant, which encourages the wearer to “live life with intention.” Twelve is a complicated age – no longer a little child, not yet an adult, and facing decisions of increasing consequence daily. “Be Truthful, Be Gentle, Be Fearless” may make the transition to impending maturity easier. Why do kids find goldfish so fascinating? If you’d like to give a darling little goldfish to your favorite kid and not worry about it not surviving the weekend, choose this whimsical pendant. The tiny 14k-gold fish is suspended in a sterling silver “fishbowl” to add to the delightful illusion of a swimming fishy. Kids will be transported to a galaxy far, far away as they construct this 1,060-piece LEGO Star Wars building kit. Featuring Darth Vader’s castle, the set includes an underground hangar, which houses the TIE Advanced Fighter, as well as an ancient Sith shrine and a meditation chamber. Boxer may be a robot, but he shows more emotion that most tweens – his expressions change depending on whether he’s happy, sad or sleepy. Kids can interact with their pal using the remote control to do stunts, such as somersaults, or by playing games together. Meccano but not as you remember it, with the Meccanoid 2.0 robot building kit kids can create and then program their own motorized pal to play with. Made from 1,014 parts and standing almost 4 feet tall, the robot has 10 motors for realistic movement, as well as LED eyes. Fans of Fortnite can put down the controller and compete with family and friends off-screen with this new edition of the popular board game. Inspired by their favorite video game, kids must pick up health packs, build walls, and fight off their opponents until they’re the last player standing. You might not consider mud to be “magical” when it’s covering your kitchen floor, but with this Magical Microbes MudWatt STEM kit, kids can learn how to make clean energy using the power of mud. Experimenting with soil, along with leftovers from the fridge, they can use the MudWatt Explorer app to measure microbe growth. The classic game is now available in a portable edition for Nintendo 3DS. Kids must help Luigi fight off the supernatural residents who are lurking in the mansion to save Mario, following the map on the touchscreen to find and stun the ghosts with the Poltergust 3000. If your kids are poop-obsessed, they can make unicorn poop to play with using the ingredients in this Poopsie Slime Surprise Pack – by combining the unicorn food with a touch of unicorn magic, they’ll have multi-colored, scented slime that they can customize. There are 18 to collect, including the rare Unicorn Sparkle. Potter fans will go crazy for this Hogwarts Great Hall building kit. With 878 pieces, they can create a 4-level model of the iconic Great Hall, complete with the sorting hat, mirror of Erised, and 10 minifigures of their favorite characters, including a buildable Basilisk. Kids can take apart and put back together this squishy human body, learning about the muscles, bones and organs beneath their skin. Accompanied by a 24-page illustrated anatomy book, youngsters can discover the vital organs along with the digestive system, ensuring they’ll be top of the class in biology. Battling to free the Atlas Star System from Grax and the Forgotten Legion, kids can mix and match pilots, wings, and weapons to create their own starship. As they build their ship, they can watch the changes they make come to life on-screen in the game, like they’re fighting in a parallel universe. Kids can build a menagerie in their bedroom with these 3D puzzles made from recycled cardboard. Select an animal, from a sloth to a llama, and watch it come to life, as kids get busy sticking together the numbered pieces using the non-toxic glue that’s included. 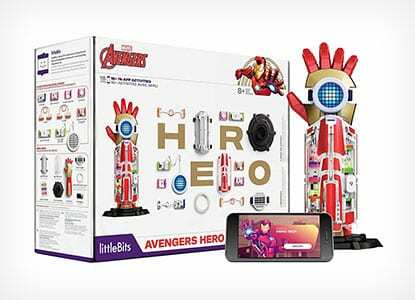 Avengers fans can become one of the gang with this Inventor Kit from littleBits. Through the app, kids can take part in superhero training, as well as build and customize their hero gear using the littleBits electronic blocks to be like Ant-Man and Black Panther. If you don’t know what to buy a 12 year old who has everything, you can’t go wrong with an Xbox gift card. With a value of $25, kids can use the prepaid card to buy the latest games and entertainment, including music and movies. The second expansion to Exploding Kittens, this card game is filled with suspense, just like a game of Russian roulette. With these 15 cards, players will unlock 8 additional actions, as well as a “streaking kitten” card, which means that they can hold an exploding kitten card in their hand without combusting. Kids can travel Back to the Future with this 30th anniversary edition of Steven Spielberg’s iconic trilogy. With over 5 hours of remastered film on Blu-ray or DVD, kids can join Marty McFly and the gang as they travel to the past, present and future. Here’s a DIY project transforming a thrift store book into a charging dock for an iPhone (or adapt for other phones). What an innovative way for a tweenager to keep a phone in a safe place to charge. It also keeps the cord from getting lost. Kudos for a tip about an alarm clock app. 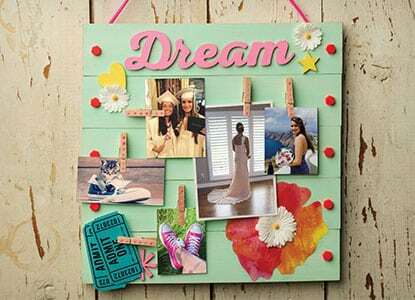 When you’re leaving childhood behind, there may be a photo, certificate, or other mementos you can’t bear to part with. These treasures are deserving of unique display and this DIY features a frame emblazoned with gemstones for a true one-of-a-kind look. Perfect project for you and your youngster to do together – things for the memories. Sentimental much? This DIY tutorial is so personal and inspiring – take twelve of your favorite Instagram memories and transform them into personalized wrapping paper. It’s so easy, a child can do it. So let your youngsters create great gift wrap for their friends, or you can design a passing-of-the-years for an extra-special 12th birthday wrap. Your kids might be too old to have name labels attached to their belongings, so make sure they can identify their phone in the school yard with this DIY phone case. Check out this tutorial to see what you’ll need to create a personalized case that’s as individual as they are. With this DIY secret compartment book, kids can hide their belongings, from minifigures to candy. Have a look at this post for a fun project that you can work on together – there are numbered steps and pictures to help you create it with ease. If your kids never put anything away when they’ve finished playing with it, this simple DIY pouch makes a quick and easy storage idea for loose LEGO bricks and minifigures that are strewn across the floor. Follow the instructions in this post to create the ‘no sew’ pouch in five minutes. If your kids get a kick out of solving mysteries, have a go at making these DIY Morse code bracelets. A fun activity for a birthday party or sleepover, read this article to see how kids can spell out secret messages on to the bracelets before giving them to friends or family. If you often play Magic the Gathering or other card games as a family, check out this post to see how to make a deck box for the cards. Broken down in to 3 sections, the tutorial has numbered steps along with plenty of pictures to guide you through the instructions.